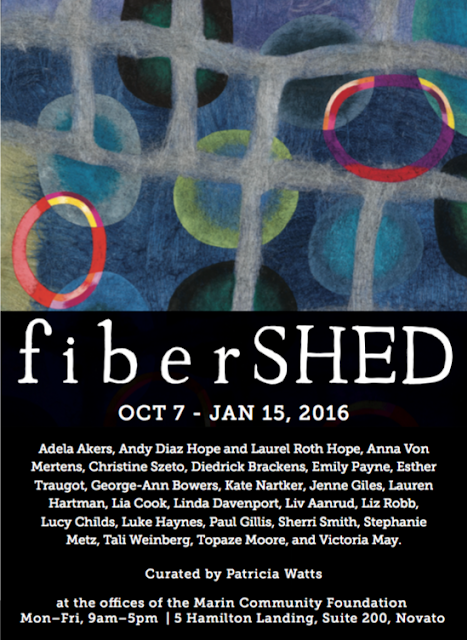 FiberSHED opens October 7th at the Marin Community Foundation in Novato, California. 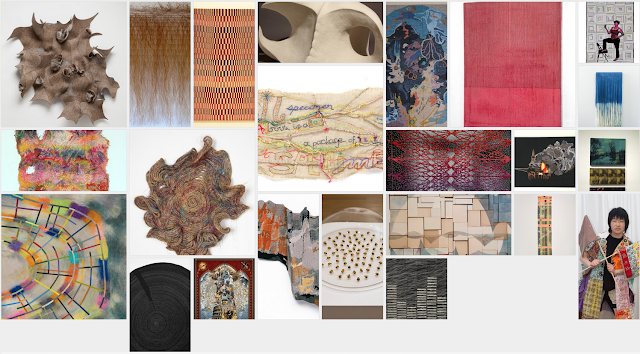 Curated by Patricia Watts, the exhibition presents approximately ninety artworks by twenty-four fiber artists, primarily from the Bay Area, and also includes five artists from Los Angeles, Michigan, and New Hampshire. This survey exhibition includes a cross-pollination of Bay Area environmental sensitivity and conceptual art-making that pushes the boundaries of this medium in exciting and creative ways. The title FiberSHED is a play on the concept of a watershed, an area of land where water flows from the mountaintops, downward to tributary creeks and rivers, and ultimately drains into lakes and oceans. For this exhibition, the title conveys the exceptional art that is being made by visual artists in the medium of fiber primarily located in the bioregion or “shed” of the San Francisco Bay Area. 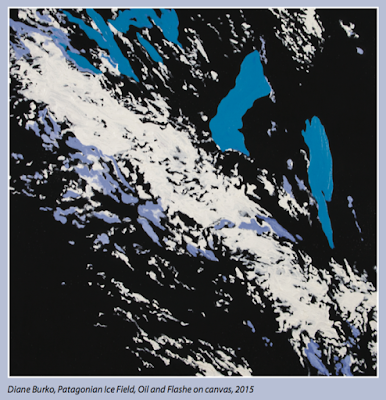 These are artists who share a unique relationship with the landscape and who are making cutting-edge artworks rich in craft tradition, while reflecting local sociocultural discourse. Artworks in FiberSHED include: tapestry, samplers, embroidery, felted wool paintings, conceptual hook rugs, photographic transfers on woven fiber, clothes portrait quilts, hand-stitched banners and books, painted weavings, book arts, art and science weavings, felt sculpture, horse hair weavings, and woven measurements of environmental conditions, such as drought and tree rings. Artists include: Adela Akers, Andy Diaz Hope and Laurel Roth Hope, Anna Von Mertens, Christine Szeto, Diedrick Brackens, Emily Payne, Esther Traugot, George-Ann Bowers, Kate Nartker, Jenne Giles, Lauren Hartman, Lia Cook, Linda Davenport, Liv Aanrud, Liz Robb, Lucy Childs, Luke Haynes, Paul Gillis, Sherri Smith, Stephanie Metz, Tali Weinberg, Topaze Moore, and Victoria May. 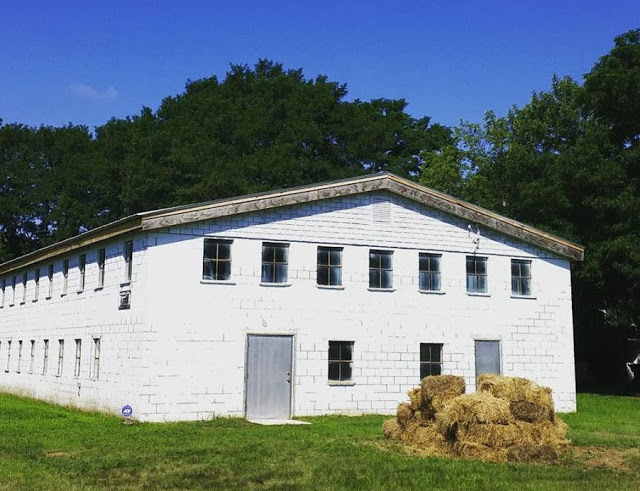 FOODshed: Art and Agriculture in Action originated at Smack Mellon in Brooklyn, NY in 2014, curated by Amy Lipton of ecoartspace. 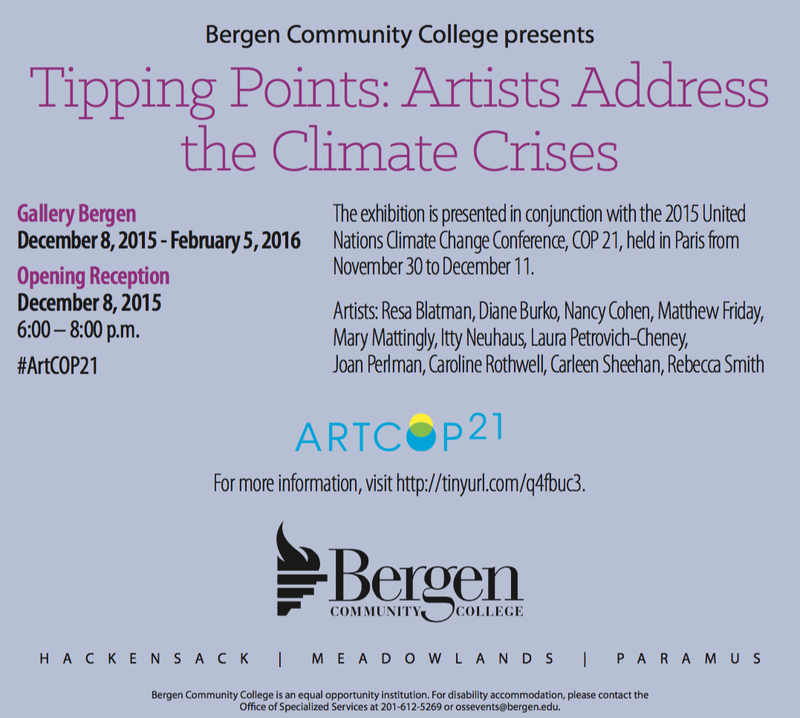 An updated version was recently on view in August/September 2015 at CR10 Arts, a few miles south of Hudson, NY. 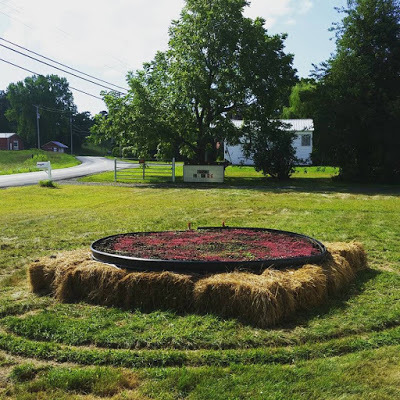 The goal from the beginning was to travel the show to the Hudson Valley since many of the artists live and work there, as well as grow food on their own small farms. CR10 Arts is in Columbia, County, an agricultural region with the now flourishing small town of Hudson where art, culture and food are thriving. CR10 is housed in a re-purposed 15,000 square foot concrete block building, constructed in 1954 for agricultural storage. Installing the show in this enormous space was a challenge for the artists since there is very little usable wall space, the building is mostly windows. But the exposed barn beams and simple wooden floors made a great backdrop for this show which was focused on sustainable agriculture, entrepreneurship, and artists' use of food as subject matter or medium. The exhibition featured artworks and inventive projects around agriculture and food that addressed farming as both activism and art form. 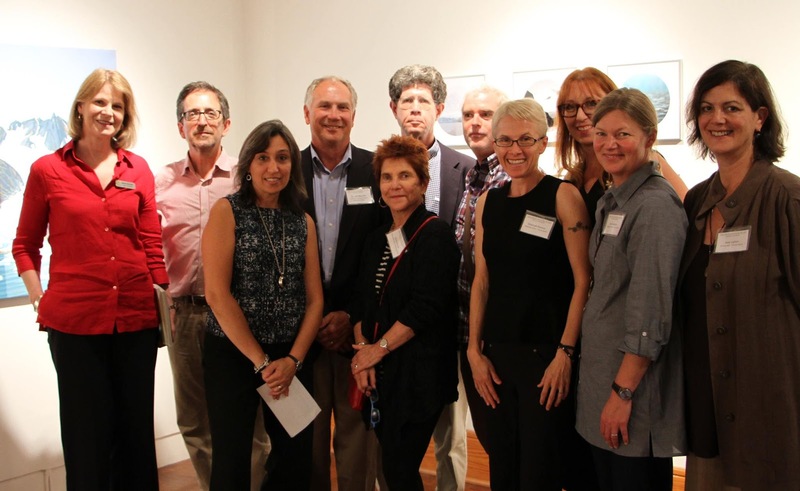 Many of the artists in the exhibition are known for bringing community-specific issues into their work and are exploring the real-world implications of small-scale farming and raising community awareness about our food systems. The artists advocate for an organic, regional and local approach, which they are manifesting in their own lives and where the boundaries of real world and art completely disappear. Artists included: Joan Bankemper, Dan Devine, Ecoarttech, Habitat for Artists, Lenore Malen, Kristyna and Marek Milde, Peter Nadin, Andrea Reynosa, Jenna Spevack, Susan Leibovitz Steinman, Elaine Tin Nyo, Tattfoo Tan, and Linda Weintraub. FOODshed was reviewed in Edible Hudson Valley and IMBY (in my backyard). 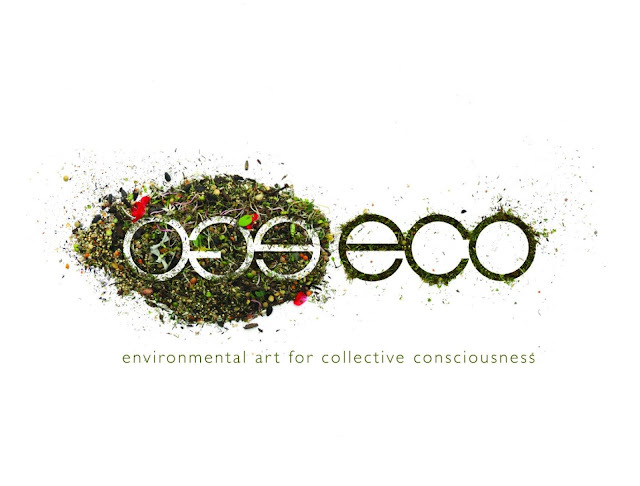 EGO|ECO is a collection of essays, artist descriptions and photographs documenting the Fall 2013 art exhibition, EGO|ECO: Environmental Art for Collective Consciousness at the California State University Fullerton Begovich Art Gallery. 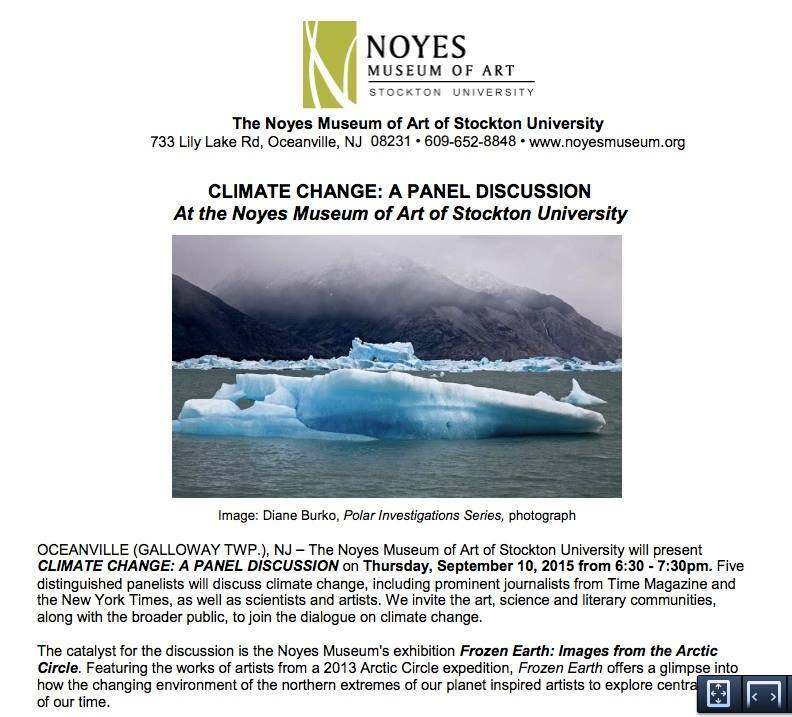 Curators Allison Town and Emily Tyler invited viewers to engage in a global conversation about human relationships with the earth―encouraging individual reflection and collective environmental mindfulness. 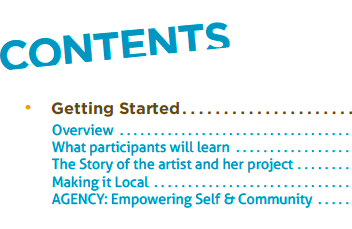 Patrons were asked to remain aware of how they viewed each artist’s work and how their own interaction influenced their understanding of the artist’s message. The curators proposed that by remaining aware of the act of perceiving―thinking about thinking―individuals become more actively engaged and open to critical digestion of ideas. Included in the exhibition catalog is a Director’s Forward by Mike McGee, essay by Patricia L. Watts (Founder/Curator of ecoartspace), Curatorial Statement by Allison Town and Emily Tyler, essays by both curators, descriptions of featured artwork including artist biographies, photographic documentation of the exhibit, art and opening reception, artist-in-residency projects by artist Nicole Dextras and associated educational programming. 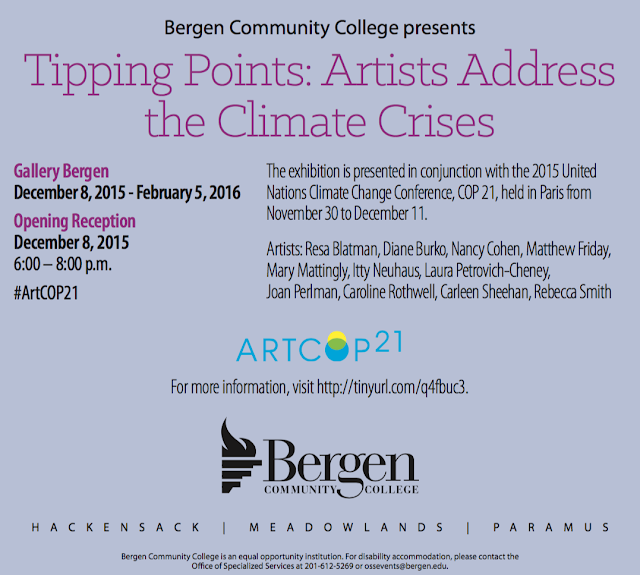 Featured artists and collectives include: Vaughn Bell, Terry Berlier, Nicole Dextras (Artist-in-Residence), Fallen Fruit (David Burns, Matias Viegener and Austin Young), Green Patriot Posters (Dmitri Siegel and Edward Morris), Newton and Helen Harrison, Jacci Den Hartog, Chris Jordan, Alison Moritsugu, Robert and Shana ParkeHarrison, Esther Traugot and Andre Woodward.